Discount available! Recommend I/O expander shield for Raspberry Pi to your friends and get your Discount. 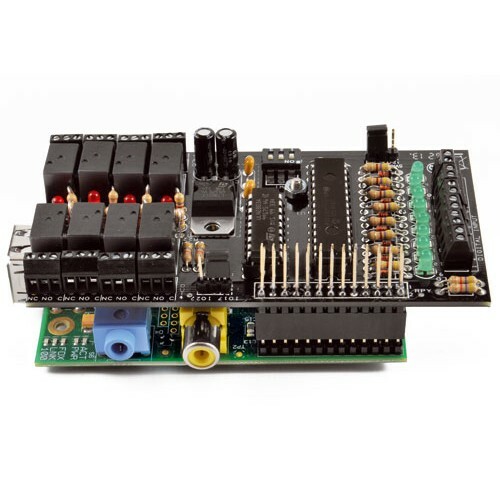 I/O shield for Raspberry Pi (Raspberry Pi 2 or Raspberry Pi 3) based on the MCP23017 chip manufactured by Microchip. 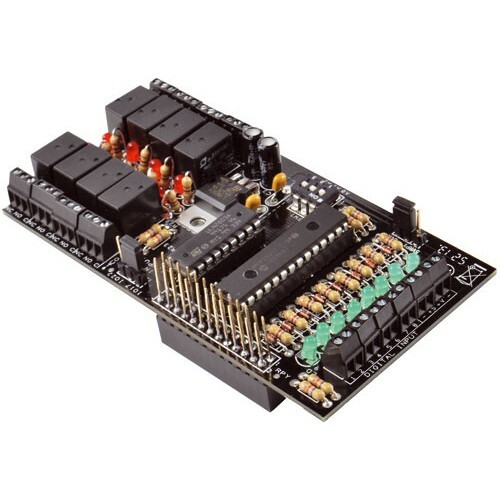 It has 8 digital inputs, each of which has a protection diode, a pull-up resistor and a LED; 8 relay outputs with the corresponding LED status. Communication with the MCP23017 is based on the I²C -Bus. In the shield there is also the possibility of lead (via jumper) the input interrupt pin ( INTB) on two different pins of the Raspberry Pi (IO17 or IO22) to fit as much as possible to the actual use. 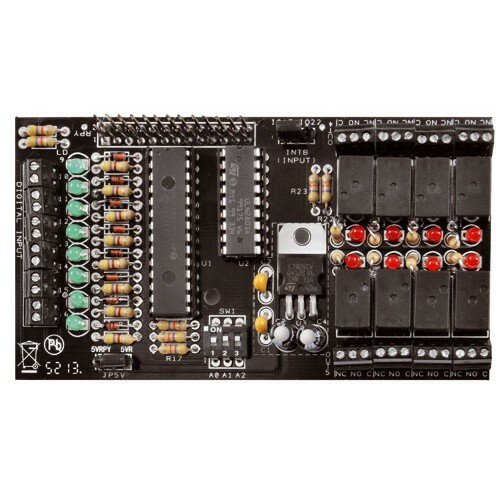 The address of the I ² C-Bus dell'MCP23017 is selected by dip switch that allows you to connect up to 8 different shields without interfering with each other. The kit includes all the components, PCB and all the small parts. This project comes in kit Some components have to be soldered to the included PCB.